If you have been in an accident and as a result have sustained injuries, then you probably already understand how hard it can be to keep up with the mounting medical bills that come along with being injured. However, there are a few ways you can effectively lower and negotiate your medical bills to make it more manageable. Following an accident, if you were not at fault, then the other driver and his insurance company is more than likely going to be responsible for your medical bills. However, the other driver's insurance company won't be paying your doctors directly, and they will not be reimbursing you after each, and every doctor visit you attend. All of this means that you will have to cover your medical bills yourself initially and wait for reimbursement from the other party's insurance company. Only when you have finished all treatments, and you have been discharged by the doctor will you be able to inquire about your settlement from the insurance company. This can put you in a hard position financially as you try to recover your losses. In the state of Florida, your Personal Injury Protection (PIP) will cover the initial onslaught of medical bills you will have following the accident. However, this coverage will not pay for all of your medical bills and have placed limits on what you can collect. Typically, it is $10,000 for medical bills per person and to get that amount; you must have had an emergency medical condition. For non-emergency medical conditions, the maximum allowance is $2500 per person for medical bills. PIP also covers a certain amount of lost wages as welltypically, this is also a $10,000 limit. If you hired an attorney to help with your case following the personal injury accident, then they will keep track of all the medical bills as your case progresses so they can ask for the proper amount of compensation for the damages. Ultimately, the injured party is responsible for paying all the medical billsnot the lawyer or the insurance company. Since you have to pay your medical bills and wait for reimbursement, there are a few things you can do to help lower them. First of all, you want to avoid visiting a clinic that claims to specialize in car accident treatment. Often, these centers will overtreat and then overcharge for treatment and visits. Next, you can always discuss your options with the doctor or healthcare provider. Sometimes, they can help negotiate a smaller bill amount or offer a discount on the charges. They can also help work out a payment plan with you to make paying the bills a bit more manageable until you receive your settlement from the accident. You can also check to see if you are eligible for other financial assistance including Medicaid, financial aid through the hospital or clinic, and other local assistance programs. Sometimes your attorney can even help delay billing and help to make arrangements on your behalf. If you choose not to pay your medical bills, then you may be refused additional and future treatments, and this can seriously affect your overall health. The medical facility will also turn the debt over to a collection agency which can significantly impact your credit score and standing as well. 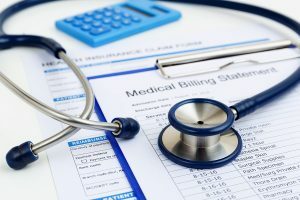 If you feel that you have run out of options when it comes to paying down your medical bills, you can discuss all your options with your attorney, and they can help you find a solution that works until your settlement is finalized and you receive compensation.